We are a community owned and operated organization dedicated to the local production, use and promotion of bio-fuels in order to achieve ethical and environmentally sustainable local economy. The Cowichan Bio-Diesel Co-operative (CB-DC) has been supplying 100% bio-diesel made from recycled cooking oil to all its members as a petro-diesel alternative since 2005. If you are a Coop member in good standing, have read and agreed to your personal Co-op responsibilities above and support the principles on which the Coop was founded, you are welcome to purchase Coop bio-diesel. We have one option available to Co-op members and second one on the way to be announced this fall! Our Green & Go™ Blending Pump is open every day from 8:00 a.m. to 5:00 p.m. at our Bings Creek location in partnership with the Cowichan Valley Regional District. A second blending pumps is planned in co-operation with other biofuel Co-ops and organizations as part of the BC Biofuel Network initiatives. Open every day 8 am to 5 pm. To sign up for this new blending pump, click here. 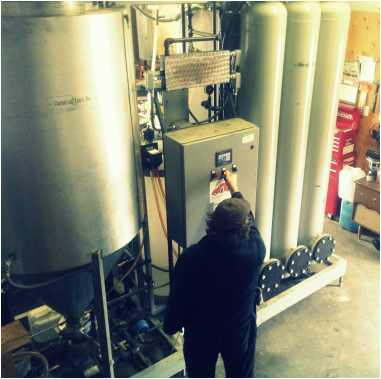 The Cowichan Bio-Diesel Co-operative (CB-DC) has been supplying 100% bio-diesel made from recycled cooking oil to members as a petro-diesel alternative for close 10 years. With the introduction of this new community bio-diesel processor, this sustainable vehicle fuel can now be processed in Duncan!